Don't miss Soul Survivor 2016's live CD featuring Tom Smith and Beth Croft including the worship big hitter 'Good Good Father'. Join the celebrations of Soul Survivor 2016 with Never Gonna Stop, this latest album of live praise and worship featuring songs led by Beth Croft, Tom Smith, and the Liv Choir. This summer over 26,000 young people all crowded together across three weeks to sing at the top of their lungs and experience God's presence. Celebration rang though every song and shout and in every raised hand and lifted heart. No one there was too young or too far to worship at the top of their lungs and from the bottom of their hearts. And now it is possible to hear a taste of what a worshipping generation sounds like though these all-new songs from some of the most challenging songwriters and worship leaders of today. Filled with some of the biggest songs from the past year, including Good Good Father, This I Believe (The Creed), and Forever (We Sing Hallelujah), Never Gonna Stop is the result of the energy and joy that fills worship. It brings a hope and faith that is unstoppable and rooted in a deep love of God's love and mercy. Discover the worship sounds of tomorrow, the songs that shape faith and inspire a new collection of voices to change the world. Voices which are Never Gonna Stop Singing. 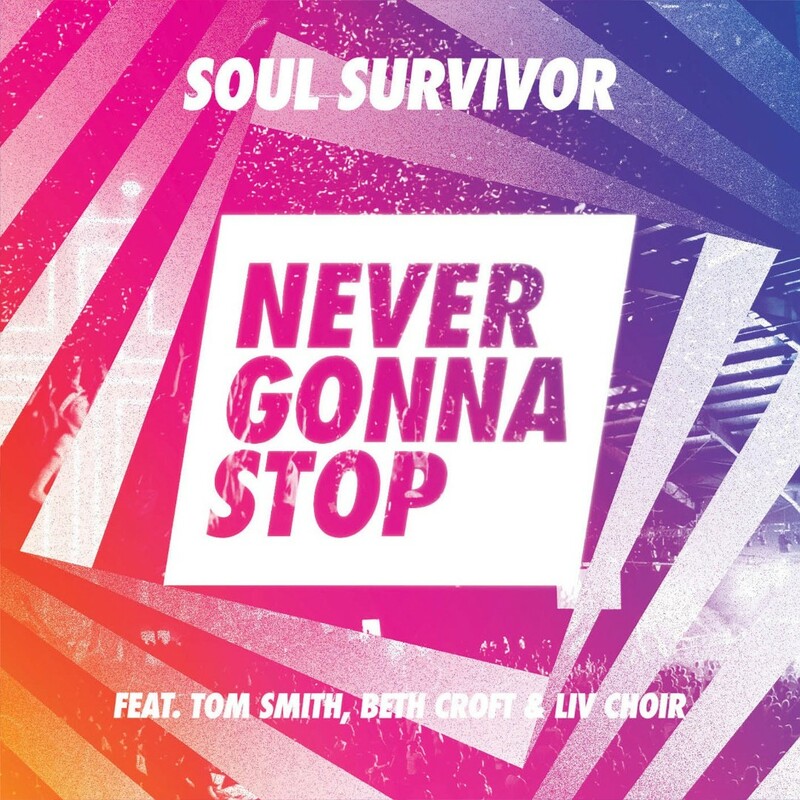 Soul Survivor 2016: Never Gonna Stop CD by Soul Survivor was published by Integrity in November 2016 and is our 2469th best seller. The ISBN for Soul Survivor 2016: Never Gonna Stop CD is 0000768678220. I liked it very much,even tho 'I'm an 'oldie'! Take a peek at some articles related to Soul Survivor 2016: Never Gonna Stop CD. Got a question? No problem! Just click here to ask us about Soul Survivor 2016: Never Gonna Stop CD. Soul Survivor is a lifeblood organisation and has great history and heritage for many generations in the UK and beyond. Year on year they offer a great live album experience and this year is no exception. For the few who are only just discovering Soul Survivor, you will not be disappointed. The Watford (UK) based Charity exists to introduce young people to Jesus and equip, encourage and empower them to live their whole lives for him. They run events throughout the year including summer conferences, equipping days and Saturday celebrations. This year they welcomed over 26,000 young people to their events and the Live album from their Summer get together has captured their experience in this 10 track offering entitled 'Never Gonna Stop'. This summer, more than 26,000 young people attended Soul Survivor festival events across the UK. Now it is possible to hear a taste of what a worshipping generation sounds like though these all-new songs from some of the most challenging songwriters and worship leaders of today. At first glance, the technicolour front cover gives the impression of loud, bouncy worship that has become almost synonymous with the summer festival. While the album does feature high energy, especially in the rousing title track: Never Gonna Stop Singing, led by Tom Smith and accompanied by clapping and enough celebratory "woahs" to know which song would have featured at impromptu, 3am campsite singalongs. However, the bright cover disguises the beautiful, reflective nature of the album. Veteran worship leader, Beth Croft leads the stunning and emotive "This is Amazing Grace", declaring thanks for all Jesus has done. For me, it's impossible to listen without getting a bit tearful. She also takes her turn on Hillsong's O Praise the Name (Anastasis), a song I'm predicting to feature heavily in Church services during Lent and Easter. For many, the standout song of the summer was Chris Tomlin's Good Good Father and Soul Survivor doesn't disappoint. Led, for the first time on a CD, by a female worship leader. Beth Croft's lead has a beautiful, almost country sound as she leads the crowd in asserting the goodness of God. Overall, the 10-track offering is faultless. Bringing to live a generation of worshippers who are now (hopefully) settled back into churches and singing these on Sundays. I urge you not to put off by the somewhat jazzy cover. The sheer variation of tracks means at least one song will become a firm favourite with every member of the congregation, irrespective of age, and there's enough on there to keep you going until next July. Now Playing: The Lion and the Lamb Your browser does not support the audio element.